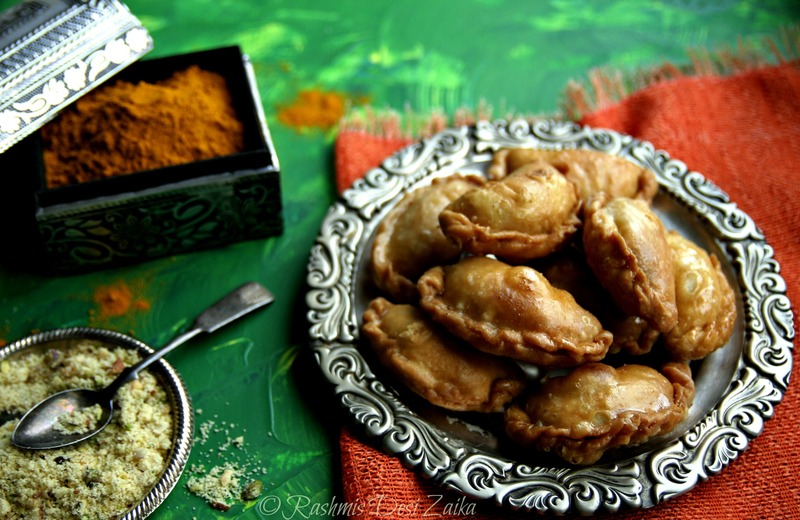 Indian street food is one of my most favorite food to eat, of which chaat tops the list. Living away from India I always crave for it; even though I have tried to make few of them myself at home. Most of the street food items in India are available all through the year while some of them are for certain time of the year. Corn on the cob, is something that everyone is quite familiar with. In India, it is sold mainly during spring-summer time. In Northern part of India, it is called as ‘Bhutta’ if roasted slowly on coal and then lime is used to rub special spice mixture. It is called as ‘Challi’ when boiled in salted water which is then rubbed with spicy mixture and tangy tamarind chutney. So, for a foodie like me if I get to visit India in that specific time when one of my favorite street food is available then it is full treat  The story goes so that few years ago I was in India during the spring time and we were sitting peacefully at home, then I hear from the street some street vendor who was ringing the bell on his mobile stall and advertising for challi. It used to be very common way of selling food items on streets but not that much these days. I asked my mother, what is that noise? She said that it’s the challi guy, ‘Do you want to eat it?’ Of course, was my answer and so we went outside to check and in that time the guy had already gone and we could not spot anyone. Oh! the disappointment. My mother consoled me that he comes to our street very often and may be next days…So, the next day he did visit our street and this time we were quick to stop him this time. Oh! that was so good. The spice mixture that he used was quite hot, but loved every bit of it. Last week, there was a glimpse of spring here and I was thinking of challi and the yummy flavors. 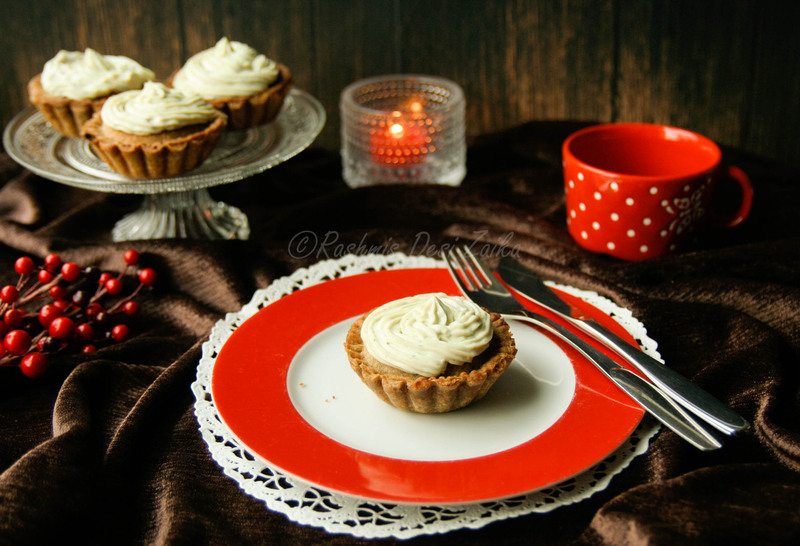 I decided to try something different using the same flavors but with a slight twist and the yummy outcome is this recipe post. 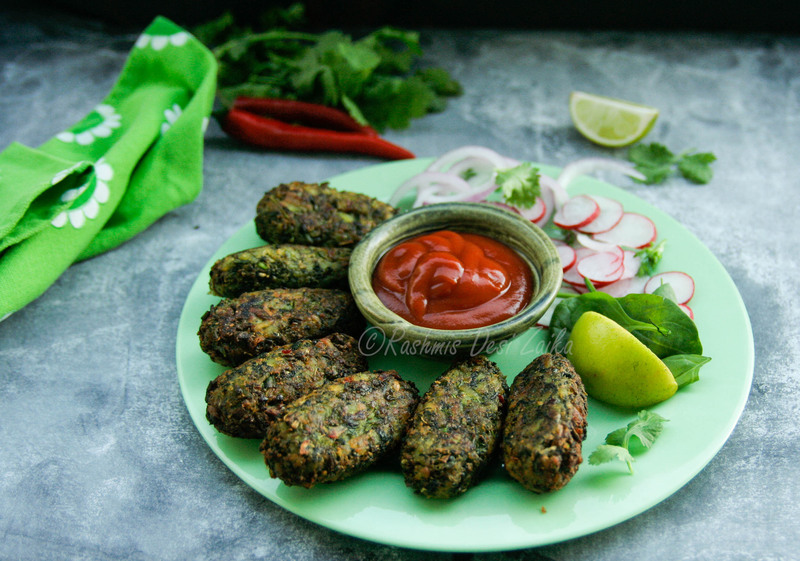 This chaat recipe that I am sharing today is actually inspired from two street foods from India challi and aloo chaat, which is chaat type where boiled potatoes are cooked slowly on low heat to get crunchy crust and then tossed in spice mixture, chutneys and some fresh tomatoes and cucumber. The flavors of the chaat worked so well, sweetness from the corn with tangy, spicy tamarind chutney, crispy potatoes and freshness from tomatoes and cucumber..loved it!! Dice the potatoes to bite size pieces. Heat up a table spoon of oil on a non-stick pan placed on medium-high heat. Add in the diced potatoes pieces and let it cook on low-medium heat to get a golden brown color, for about 5-10 minutes. Once cooked, transfer the potatoes in a bowl lined with paper towel. Place the pan back on the heat and melt in a table spoon of butter on low-medium heat. Add in the garlic and let it cook for a minute or two. Mix in the corn and toss everything together. Season it with salt and black pepper. Let it cook for few minutes and then remove from the heat. Set it aside. To make the chutney, place all the ingredients in a bowl and mix everything together. Add few table spoons of water if needed. To make the chaat, in a large mixing bowl, toss together cooked corn, potatoes cucmber and tomatoes. Add in the tamarind chutney and mix everything together. Garnish with fresh coriander. 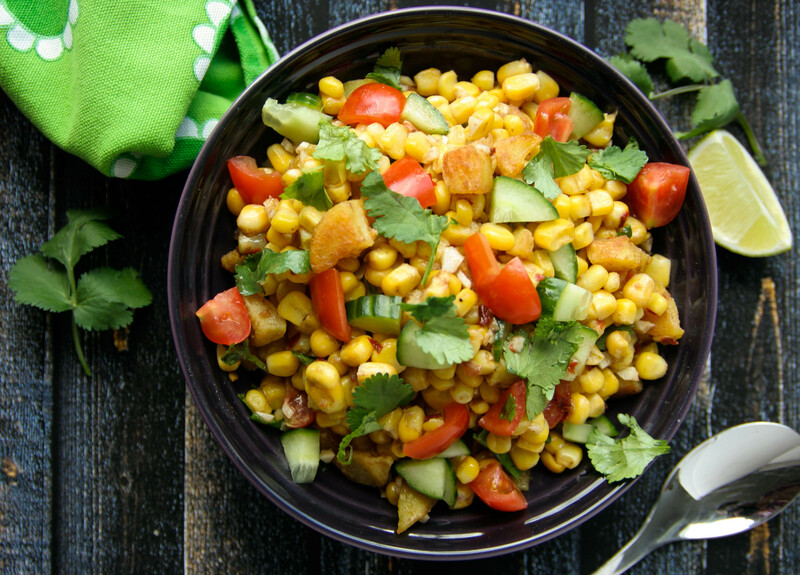 Enjoy this sweet, spicy and tangy corn potato chaat.